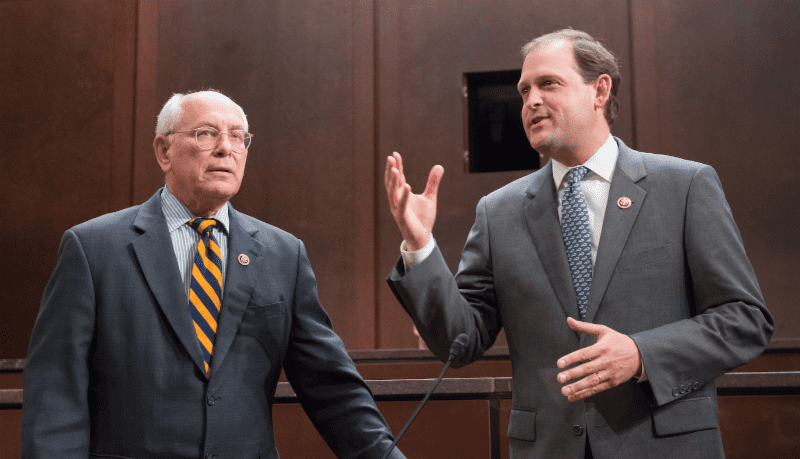 The co-chairmen of the Congressional Horse Caucus, Republican Andy Barr of Kentucky and Democrat Paul Tonko of New York, were each re-elected to the U.S. House of Representatives on Tuesday. Barr and Tonko are also co-sponsors of the Horseracing Integrity Act of 2017. Barr won a squeaker against political newcomer Amy McGrath, a former Marine fighter pilot who carried Lexington's Fayette County but lost in the surrounding county's comprising Kentucky's Sixth Congressional District. Barr, first elected in 2012, edged McGrath 51-to-48 percent, holding about a 10,000 vote lead of the approximately 300,000 ballots cast. Tonko had an easier time of it in New York's 20th Congressional District, defeating Republican Joe Vitolio 66-to-34 percent. In Florida, two Constitutional Amendments related to gambling were passed in a statewide vote. Amendment 3, the Voter Control of Gambling Amendment, passed by 71-to-29 percent. The amendment requires any future expansion of gambling in the Sunshine State to be approved in a statewide referendum. The measure was backed by the Seminole tribe that operates casinos in Tampa and Fort Lauderdale and by Disney. Amendment 13, a referendum that will phase out greyhound racing by 2020, passed by a 69-to-31 percent vote. A number of organizations and animal welfare groups supported the amendment. Five states that previously had dog racing have now banned the sport: Arizona, Colorado, Massachusetts, New Hampshire and Rhode Island. Florida, with 11 dog tracks throughout the state, is one of six states currently operating dog tracks, along with Alabama, Arkansas, Iowa, Texas and West Virginia. Constitutional amendments require 60 percent support or higher to pass in Florida. This entry was posted in NL Article, The Biz and tagged andy barr, ban on dog racing, congressional horse caucus, greyhound racing, Horseracing Integrity, horseracing integrity act of 2017, paul tonko by Paulick Report Staff. Bookmark the permalink.